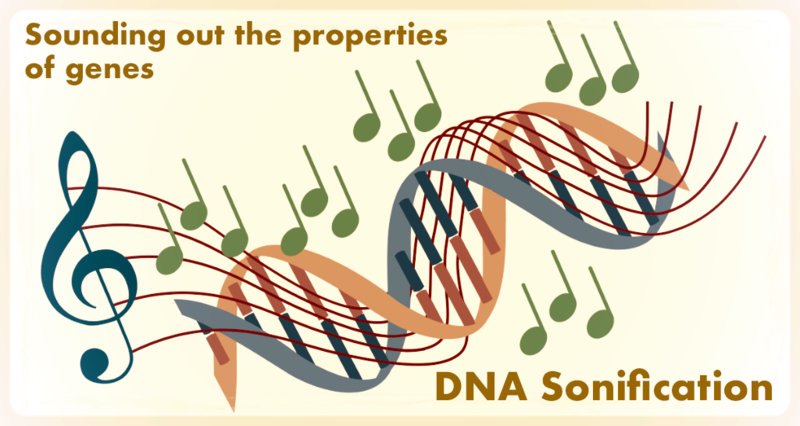 DNA Sonification refers to the use of audio to convey the information content of a DNA sequence. Audio is created using the rules of gene expression and codons are played as musical notes. DNA can be processed in one of three different ways to read the open reading frame. Special codons called start codons and stop codons are used in biology to control gene expression... these are used in sonification to control the audio. If this all sounds a bit complex then stop reading now and go start playing with the tool and listen to the sound of genes.